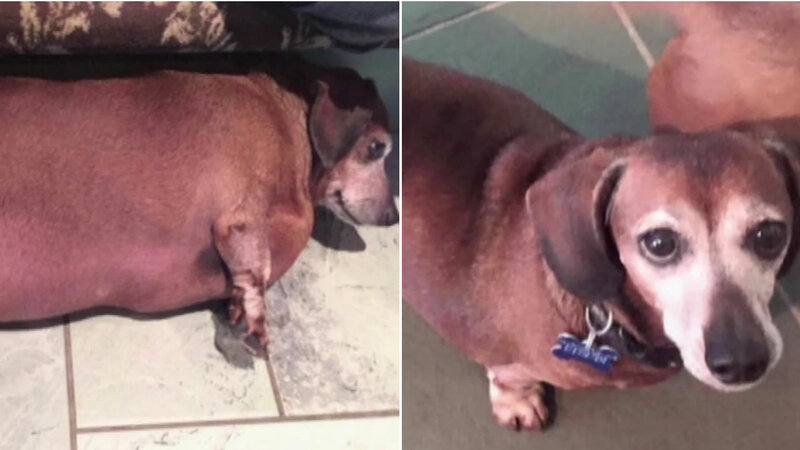 An obese dachshund went from a jumbo sausage to a Slim Jim. 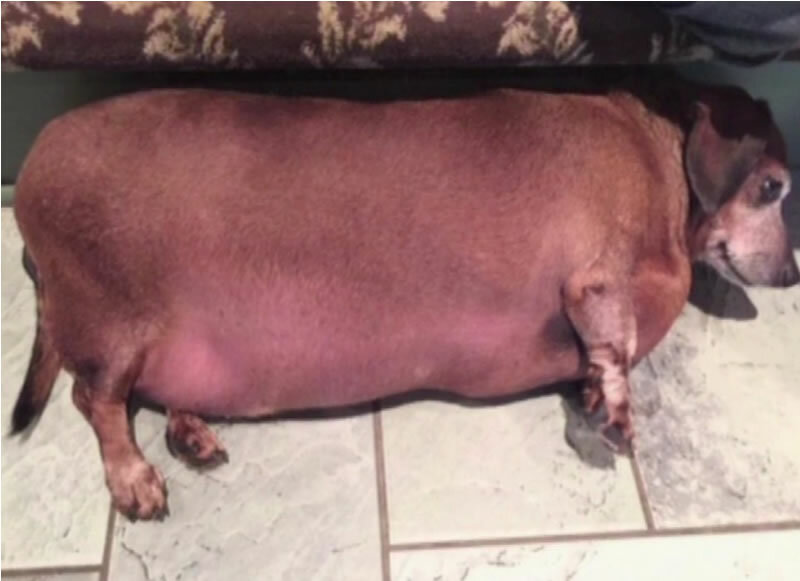 Eight months ago, Fat Vincent was a whopping 38 pounds. Now he's just 17 pounds! 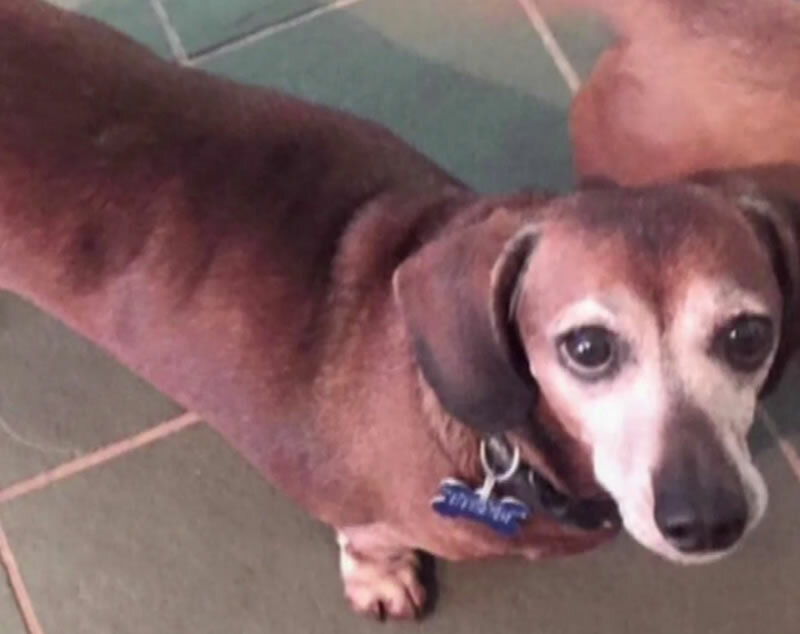 His owner passed away and an animal rescue group stepped in, putting Vincent on a diet and getting him to exercise - that included water aerobics and walks. He needs to lose a pound and a half more to reach his goal weight. Then he'll be ready for adoption!